This entry was posted under Diet, Medical, Motivation, Supplements. You can follow any responses to this entry through the RSS 2.0 feed. You can leave a response, or trackback from your own site. I’m 14 im5″2 and i weigh 166 pounds i exercise on wii fit and go to thegym and measure out porportions of food nothing works is acai berry what i need ? Hi Steve, i’m taking metphorman & i will like to take the pill & i’m 15 years old do you think it will work quik or do i need to do something else? I am 15 years, my height is 5ft. exact I weigh 155. I am supposed to weigh 115, if so I was wandering. 1.) Is it okay If I these tablets? How long wold it take till I lost the weight i want using these? I am honestly sick of working like a dog to get the weight off and nothing happening. Great blog you have here with a lot of useful information. As this berry comes from the rain forests in South Brazil I guess you can call it an organic product. Do you know if it exists farms where acai berries are produced also? hi im 17 years old, 180 pounds and 5’7. i want to get down to just 150-155. im not trying to get skinny; i can drink lots of water and change my eating habits…its just working out thats the problem… so what if i only worked out 3 times a week will it work? and after i reach my goal do i have to keep taking these pills inorder for the weight to stay off? and if i do stop am i going to gain weight again or gain the weight back? ineed to know soo please.. i go prom dress shopping sooonn! this is my senior yr ! Hi. I’m 18 and I weigh about 235. I wanna get down to about 160 by the end of May of this year or June. Is this possible if I use the acai and colon cleanser? As long as you eat right, the acai and colon cleanser will help you lose fat faster. Exercising helps too. Very nice post. Thank you very much for sharing use full stuff through this post. My name is Aisha. My son Adam’s weight is 102kgs. He is 17 years old. Can you please tell me; is it possible to lose weight without any side effects at this age? Yes, at 17 years old you can lose weight without any side effects, as long as it is done naturally with diet and exercise. Well it looks like a good product for losing weight. I have spent lot on other products but all in vain. I am sure to try and invest some dollars in it. I will have to try the Acai Berry and let you all know my results! This is the best way to get fit without any side effects and not harmful to any ages rather than slimming pills. Great resource! Personally I prefer to drink green tea instead of taking pills, but Acai Berry benefits are hard to deny. That’s why I’m currently having4 cups of green tea and 1 acai berry supplement a day and I can already feel the boost it has given to my metabolism. Yes Alison I totally agree, Acai berries benefits cant be denied in taking part of weight loss and detoxifying diets. This is the most reliable supplement that gives perfections to your body. 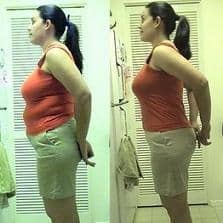 Taking slimming pills for weight loss is not really necessary if you have patience and you are absolutely sincere on loosing weight then doing it naturally is the most you can do to avoid side effects. Acai Berry is no doubt #1 superfood. Acai Berry has a lot of health benefits, starting with detoxing properties and ending with weight loss. I have personally used Acai Berry and it does work! How do I get A free trial of acaiberry? Click on a link in the post and you should be taken to a free trial order page. Does anyone know how long you’d have to take this juice before you’d notice a difference? i am from israel and my sister is in the usa can she by this for me in a pharmacy ? No, she’ll have to order it by clicking on an ad on this web page, sorry. Can I take when pregnant?? Monavie is garbage. It is a multi-level network marketing scheme that sells sugary acai juice to people who want to lose weight. You know why they are so successful? Because people never lose weight drinking that slop, so they keep buying more product in hopes that eventually the weight will start to fall off. Guess what? It’s never going to happen. Choose an acai pill instead. Acai with it’s powerful antioxidants is an effective way to assist with weight loss but it should be combined with exercise and dietary adjustments for better effects. It takes a lifestyle change to lose weight and both mind and body must be willing to make changes in habits. I think that natural Acai weight loss pills is one of those products that you either love it or you dont. I think some people expect too much. I chose the Dr. Max Powers Burn (which contains ALOT of Acai) because it helps curve my cravings. I was getting to be a crazy snacker. At first, I didnt really notice too much difference but over time, I found that I was having less cravings. this saved me money and helped stop my trend of gaining weight. I am now on my 4th bottle of the Dr. Max Powers Burn and I guess I have now become a loyal customer. I am starting to fit into clothes I didnt fit into for quite some time. YEAY! I never throw anything out. It’s nice that there are supplements that can reduce weight and cleansing our colon. I think with all that I’ve seen from others, acai berry is somewhat effective in losing weight. There was a time when I had 30 extra pounds. Even though I was not grossly overweight, I felt really bad with myself. I felt ugly, unattractive and used to hate my body. At that time, I didn’t even know what acai berry was. Some day I bumped into an old friend of mine. She had lost a lot of weight! This woman used to be much fatter than I was and now she was at least 20 pounds thinner than me. I have heard of acai berry has many health benefits. This is the first time I see a product of it. I would to try the free trial through your link.